The Tanoshiboy Chronicles: Design & Illustration Blog: Should a Logo Be Heroic? Should a Logo Be Heroic? 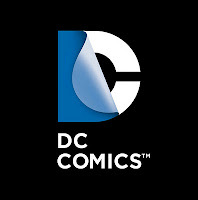 DC Comics, the comic book publisher best known for publishing Superman, Batman and Wonder Woman, announced they were getting a whole new brand identity. And just to give you a little backstory -- DC Comics made a major reboot last September, with their entire line of comic books. After 75+ years of continuity, the publisher believed it was time to revamp their library of characters for today's audiences. That meant updated costumes, reworked origins and the tweaking of their universe's timeline. So it came at no surprise that a new logo was on the horizon. DC's need was to create a brand that would better represent their goal to spread across all forms of media, not just comics. Understandable, since DC Entertainment was formed in 2009 to handle the development of projects starring their heroes and villains over many mediums. Here's a quick look at DC's brand history. As you can see they're goal was to create a duality in their logo, much like the duality of their superheroes. Bruce Wayne is secretly Batman (I like to think it's the other way around) and Clark Kent is Superman; and their logo does reflect that feeling of revealing a mystery with the page-turn effect. On top of that they wanted a mark that could be versatile and be themed with the persona's of their characters. “It was our goal to capture DC Entertainment in a dynamic and provocative identity. Our solution is a living expression which changes and adapts to the characters, story lines and the ways fans are consuming content,” said Nicolas Aparicio, the creative Director of Landor, the consulting agency who designed the new mark. “The new identity is built for the digital age, and can easily be animated and customized to take full advantage of the interactivity offered across all media platforms.” he went onto say. I get that and I see that in the mock ups and concepts provided in DC's release. As a long time fan of DC Comics, my initial reaction was one of disgust when I first saw the new mark. Right off the bat (no pun intended) it made me feel like all the heroism and excitement had left the brand to be replaced by this new unexciting, bland, monstrosity that looked like a toilet seat cover was being peeled off. Now that I've had time to digest it, I don't feel as strongly as I did. I don't hate the new logo, but I don't exactly like it. The complaint from fans was that the logo didn't look like a comic book company, but if you look at Marvel, Image Comics or Dark Horse Comics, neither do theirs. My problem with the logo is that it had to be explained to me so that I could see what they meant by it. As a logo designer, I believe a mark's purpose should be apparent from the moment you first lay eyes on it. Like the Joker says, "If you have to explain the joke, there is no joke". What are your thoughts at first sight? Does DC's explanation clear things up or you, or do you agree that if it has to be explained there's a problem? Do you disagree with me? Do you think this mark is right for the goal DC Entertainment has set out for? Please comment and tell us what you think. Please share and tweet this post using via @salvatier and thanks for reading.